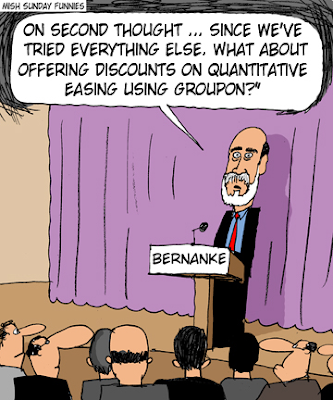 Mid-speech Bernanke has sudden inspirational flash of brilliance regarding Groupon. 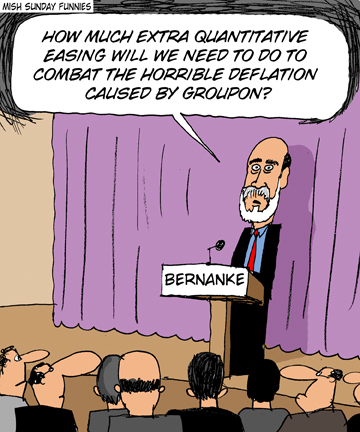 The idea for the first cartoon above came from reader "Everett". I came up with the second one. If you have suggestions please send them my way. 2. I may get far more suggestions than I can possibly use.